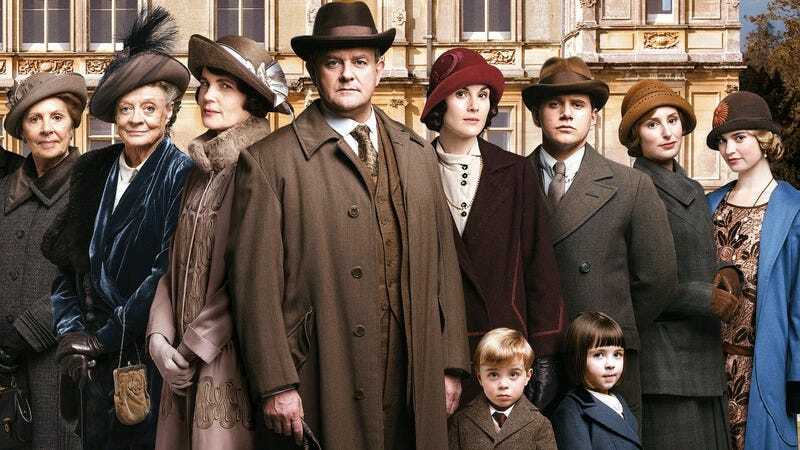 Presaged by Maggie Smith’s recent comments, Julian Fellowes’ development of the Downton-for-boorish-Americans drama The Gilded Age at NBC, and the inexorable march of time, the producers of Downton Abbey confirmed today that the upcoming sixth season of the drama will be its last. The final episode will air on ITV next Christmas Day, when British families traditionally join the Granthams in gathering ’round the hearth to repress their emotions. And now they’ll have yet another loss to quietly endure with a stiff upper lip, much like the murder of a servant, or their eldest daughter getting a short haircut. In a statement, executive producer Gareth Neame said the show was ending at a time “when it felt right and natural for the storylines to come together and when the show was still being enjoyed so much by its fans,” and promised “a final season full of all the usual drama and intrigue, but with the added excitement of discovering how and where they all end up.” It’s expected that the series will close with the surprise reveal that they all end up long-dead alongside the aristocracy that fostered them—save for Edith, whose head is frozen in a crude early experiment with cryogenics, then revived three centuries hence to discover a dramatically changed Earth that’s populated with cybernetic humans and alien species who don’t want to marry her.